Today I’m bringing to you not one, not two, but three books to explore this summer! That’s right, today’s tour is full a whole fantasy series, so let’s dive in and get started! 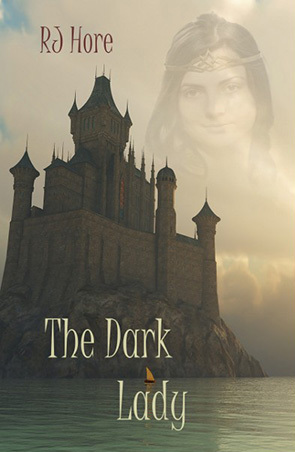 Synopsis: Young Princess Nefasti wakes to discover her father, the King, poisoned and her mother near death. As she is the sole heiress to the ancient high kingdom of Vadio, the king’s three brothers begin to plot and quarrel over who will become Regent and control the kingdom until she comes of age, or dies. Their solution is to marry her off. If this trio were not enough of a problem, the greedy surrounding kingdoms all want to gobble Vadio up, and their ambassadors scurry through the castle plotting and scheming. Princess Nefasti has two main goals: to survive, and to discover who is responsible for the death of her parents. “The Kingdom of Vadio is an illusion, a decaying corpse of a once-mighty colossus that ruled the known world for thousands of years. But that glory now lies more than three hundred years in the past, after the Great Sundering. Clinging to its fortress valley in the mountains of the Dragon’s Teeth, Vadio exists only as the crossroads of the rich trade between the three covetous empires gnawing the tired bones like hungry jackals devouring a dying lion. Once these lands swore undying fealty to the High Kingdom, now they circle it, warily eyeing each other, waiting for the opportunity to tear at the faintly-beating heart of the world, or each other’s throat. But I had a dream, on the first night of this year three thousand five hundred and seven after the Founding. Something is about to stir in the Valley of the Eye; something spawned of Meridiem. There is blood on the Dragon’s Teeth. You sneer that this is not new, but I warn you, Lord, that coin is not pure. You are not from this place.”–Blind Eride, beggar and philosopher, overheard in the marketplace, just before his untimely death. They say she is the Devil’s spawn, born in a cloud of brimstone and sulphur on a night when the peaks echoed with thunder and the castle walls trembled. I know that it is not true, and I should know. I was the midwife; although there was a storm, worse than I’d seen in many a year. She did scream like the Devil when she popped, but it was the cries of her mother, the queen, who drowned her out. Lady Gratia never had been strong, and losing two still-born sons had taken any remaining strength for birthing out of her. The ignorant outlanders whisper drunkenly in the inns that she is evil and cursed; that to gaze upon her face is death. This is a lie! Some careless folk say, when they think no one is listening, she walks across the lake to drink the blood of babes and drain the life force from careless husbands. I know this is also a lie; I have never seen her walk on water. Nefasti knew something was wrong when her old nursemaid Vita peered through the half-open portal, whispered, “Stay here! Do not leave your room,” and quickly closed the door. She heard the tortured grinding of the heavy iron key turning the lock and waited a moment, then slipped from her bed, trotted barefoot across the cold stones and pressed her ear against a crack in the worn wood. Heavy footsteps echoed down the hall to stop just on the other side. Nefasti thought it strange her uncle would be setting a guard; he usually ignored her. But why did she need a guard? Just for a minute she imagined she heard a scream, then the shouting outside drew her to the narrow window overlooking the inner courtyard. Standing tip-toe on a stool, she peered over the edge. Far below, fresh torches flamed, illuminating the sight of soldiers running, arming as they hurried to fall into ranks. Too high to hear the words shouted, still she made out the sound of iron-shod hooves on the cobbles out beyond the walls in the outer courtyard. In the distance the faint lights from the towers of Grandeur City sparkled across the black water of the Cor Gloria. Nefasti imagined riders hurrying through the gate and along the winding causeway, carrying the news to the city. “But what news?” she wondered aloud, frowning. The key once again turned in the lock and the door swung open with a moan. Nefasti turned in time to see old Vita being pushed inside. Nefasti recognized her uncle Pilarius’ harsh voice. Vita shuffled across the room straight to Nefasti, swept her off the stool and up into her arms, crushing her deep into the folds of the heavy woolen shawl. Nefasti almost smothered in the cloth and scent of spices and perspiration. She struggled free. “You may weep, child. I will comfort you.” Vita held out her arms. “I am not a child!” Nefasti stamped her foot; but bare flesh made no sound, and she stubbed her toe. She set her teeth, then started toward the door. Loud, angry voices rose, then the door swung open. A rumpled man in ruffled shirt with sword and dagger belted on pushed his way in. Another followed–Uncle Pilarius fully dressed, neatly coiffured, and armed. Synopsis: Young Queen Nefasti’s hold on her throne is tenuous. Her powerful neighbor to the west has declared war, and her other neighbors want something in return for their offered aid, such as her hand in marriage and her kingdom. Assassins lurk in the shadows while handsome suitors try to bribe her with gold and jewels. Her best friend and protector is leaving and one of her favorite ladies-in-waiting is threatening to commit suicide. Could anything else go wrong? Synopsis: It has happened at last. 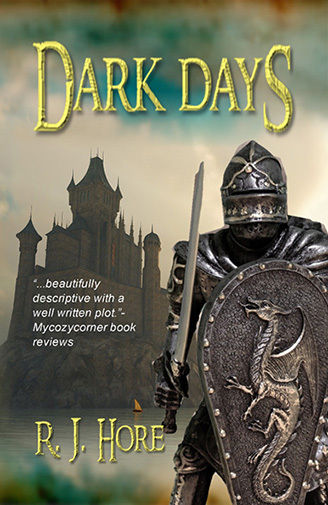 Queen Nefasti’s friends are deserting her on all sides, treachery threatens from inside her own castle, and an invasion led by an old and angry acquaintance is knocking at the very gates to the Kingdom of Vadio. Dark Magic has stirred up things best left alone. Nefasti has been given a final choice, marry The Lord High Protector’s son, or suffer dire consequences. All of this threatens to ruin her 16th birthday celebrations, and probably end her life. Ron can be found sailing on Lake Winnipeg when he not writing novels or critiquing for an on-line magazine. He won a national short story contest for a ghostly love story but his preference is for longer works. 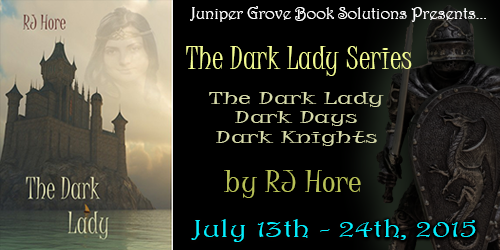 Writing as R.J.Hore his medieval-style fantasy novels include the completed Dark Lady Trilogy, and The Queen’s Pawn, which may also turn into a trilogy. 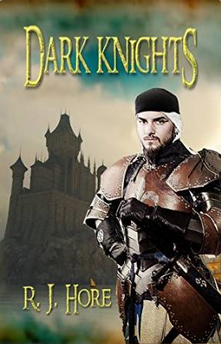 Knights Bridge is a novella in the same style, but a bit darker. 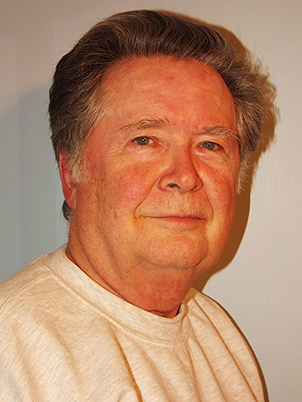 Ron also writes a series of novella-length fantasy detective tales, six published so far. These are available in print collections: the Housetrap Chronicles Volume 1 and 2. All his novels and novellas are available as ebooks with most of the novel-length now in print as well.